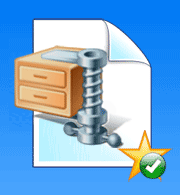 Zip Repair creates an error free backup of your original file for instant access, or you can extract files directly from a corrupt ZIP file to your hard drive. No special skills required. A simple user interface with full install / uninstall support. Click the "Download" button and download the file "ZipRepair-Setup.exe" to your computer. 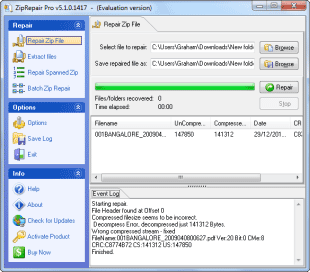 Run ZipRepair-Setup.exe and follow the on-screen installation instructions.